T'line is on the somewhat taller end for a woman, though her build is otherwise fairly average. She's neither especially scrawny nor especially curvy, though her legs are a bit on the long side even for her height. She has dark, copper-tinted skin, an oval-shaped face with a high forehead, low, somewhat prominent cheekbones, and wide lips. Her nose is somewhat down-pointing, and her eyes are an extremely dark brown with heavy eyelids. Her black hair is curly, usually worn loose to the wind, and just past her shoulders. She favors plain, relatively simple clothing, often rather rumpled from being shoved into a chest rather than folded properly. She's not fond of bright colors, but does enjoy pastel colors, so long as she doesn't have to be the one to wash them. T'line is a sweet, rather naive woman. She's cheerful, friendly and talkative, and utterly devoid of ambition. She doesn't want to lead, or even to be successful: she just wants to have friends. Chores, drills, those things don't matter to her, so long as she can be the social butterfly she wants to be. She's not especially altruistic, and can be a bit self-centered; she has what she wants, so why should she be concerned? On this point, she argues rather frequently with Hamith. She hates the cold, and isn't especially happy with the decision to move to High Reaches. If they had to go somewhere, why couldn't it have been somewhere warm, like Ista or Igen? Despite her desires to be a social butterfly, she's also ruthlessly practical. She calls it that, at least; most would call it lazy. She wears clothing that's suited for both work and socializing, being a little too fine for one and a little shabby for the other, so that she doesn't have to change if plans are altered. She leaves her curly hair loose, and never seems to learn that not putting it up means significantly more time detangling later. Her things are jammed into a chest, rarely folded, though she keeps her room mostly neat just for the sake of the impression it might make on visitors. In short, she does the bare minimum to get what she wants. Taline was born to be a daddy's girl. Even as she was raised in the creche, she escaped as often as she could to chase after her father and his blue, who she regarded as just about the best creature in the world. It was also an escape from chores, and she'd do just about anything to avoid those. She would often drag her friends into her expeditions, in an effort to surround herself with people. For the most part though, she avoided trouble. She was polite and respectful, well-behaved save for her tendency to shirk work. She got along well with many of the other children, and grew up with few expectations on her. The daughter of a bluerider at a traditional-minded Weyr in the middle of war, she wasn't considered especially important, and so when she stood as a Candidate with little care as to whether or not she Impressed, that was hardly noticed as anything out of the ordinary. It took only a couple of Turns though, and a very small blue hatched and, without seeming to even pause to consider anyone else, he beelined straight for her. My T'line! We're going to do wonderful things together! Taline, now T'line, was dismayed to learn that being a Weyrling was a lot of work, and chasing after a dragon who was determined to change the world was a lot of work. She frequently had to reign him in before he could mouth off to the Weyrleader, for his wits and tongue were often running far ahead of his sense. They were trained as soldiers, but from the very start Hamith wanted more. More recognition, more power to change the world, more greens to chase, more other intellectually-minded dragons to discuss philosophy with. He was never satisfied with anything. They graduated to the fighting wings with fewer incidents than might have been expected of such a pair, and Hamith was devastated to learn that he would not be immediately assigned a position of command. He thought he had done enough to prove he was worthy! He wanted to rise above his station, to be something more than the scrawny blue others saw him as, but he was only overlooked again and again. And again. And again. Even when he finally had his moment of glory, managing to single-handedly kill a Fortian bronze, he was recognized only by his own wing. Still, he thought that might be enough to get his own command. And then the war ended, and once again Hamith and T'line might as well have been invisible. She was perfectly all right with that; he was not. But without a war in which to prove himself, and without a position of power to enact changes he was certain would work, he had nothing. He was just a blue at a Weyr that valued metallic dragons alone. For Turns things were much the same. With the return of Thread the pair had more to do, but still he couldn't do enough to rise above his station. Eventually, troubles came at High Reaches, a faraway place that none of the clutchmates, many of whom had always been close, had ever really considered. But some of them, like Hamith, saw ambition. They saw a place they could make a difference, and they got together and planned and, as a group, decided to transfer. 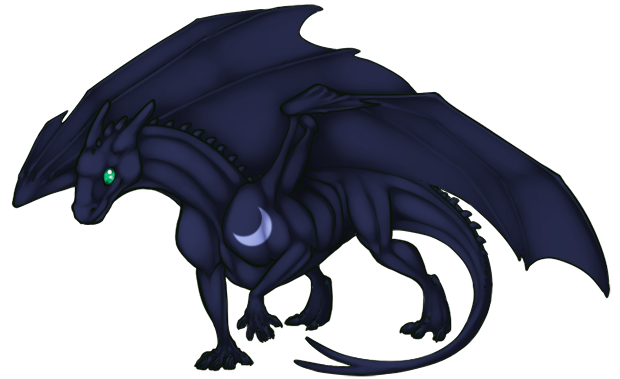 Hamith is a dark, near-uniform navy blue; the only exception to this is a lighter, pale blue crescent on his right shoulder. T'line often refers to it as the physical manifestation of the chip he so clearly has on his shoulder. At first glance, or from a distance, he looks pretty much like an average blue. A little thin, no matter how much he eats, but otherwise of average proportions. And he is of average proportions.... For a smallish green. As much as he hates it, Hamith is definitely undersized for a blue, having to look up even at many greens. Ambitious and passionate! If any being can be summed up in two words, it is those two words which describe Hamith. Nothing is ever enough for this blue; he will never be satisfied. He wants to be recognized, to change the world, to be remembered in the annals of history! Everything and everyone else falls second to his pursuit of his goals, even those he loves. There's a massive chip on his shoulder, and no amount of encouragement or success will ever lessen it. He has a bit of a temper, and will probably fight anyone who tries to tell him that due to his color or size he's not good enough. However, he is also capable of tremendous love. Everything he feels, he feels strongly. Everything he does, he throws himself into entirely. He's intelligent, but also arrogant. He thinks he knows everything and isn't afraid to let everyone know it. He'll debate with everyone, but doesn't always know when to just stop talking. His every view is out in the open. He finds secrets abhorrent, and demands that everyone be as opinionated as he is. This means that he comes into frequent conflict with Bursirth, who is far more restrained. He's close with many of his siblings, but especially Lizalth and Anelith, along with Lafeyth and Illiganth who he will forever call his best friends. Despite them being siblings in fact, he sees Ashintoth as something of a father figure, even if the two of them don't always see eye to eye.